Kotka Health and Life Park is a new health care complex emerging in the surrounds of the Kymenlaakso Central Hospital. Extensive services and close cooperation between educational and public services create a functional entity where sustainable development and versatility support each other. Other organisations currently operating in the area are the Department of Health at the Kymenlaakso Polytechnic, Paimenportti Geriatric Service Centre and Kymenlaakso Rescue Department. The main objective of my Masters Thesis is to mould a integrated and harmonious area identity – a campus – out of these four health care establishments. I aim to improve the area’s fragmented quality, which is caused by the bold traffic routes, varied topography and incoherent architecture, by compressing, extending as well as opening new traffic routes and creating connecting elements. Master plan design, emphasis on area logistics and general availability of services and functions supported the creation of an integrated identity. 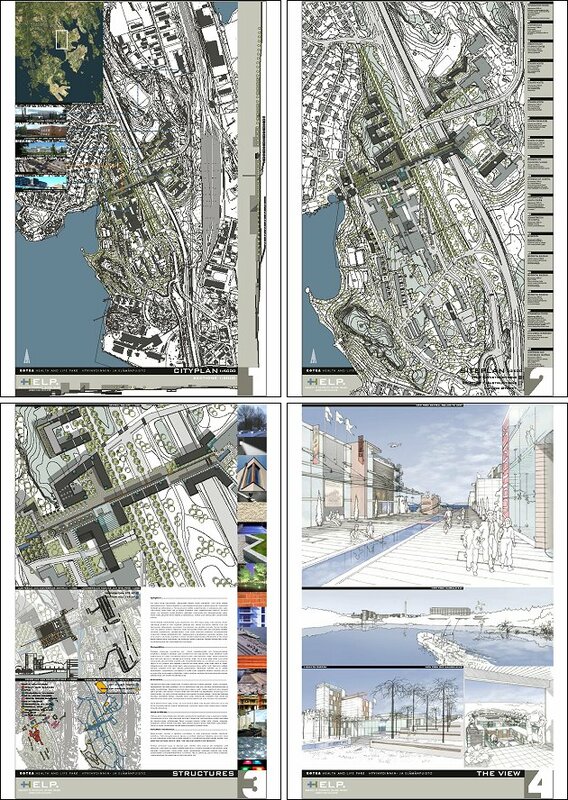 Landscape analysis, inventory of the building stock as well as interviews with authorities and consultants were used as the basis of the design concept. This Master’s Thesis was commissioned by the Kymenlaakso Hospital District and it was done in cooperation with the City of Kotka, Kymenlaakso Polytechnic and University of Technology TePro II -research projects.